Sara Shepard, author of Pretty Little Liars, recently gave an interview about the upcoming ABC Family show based on the Pretty Little Liars series. Here's the transcript for all your Pretty Little Liars info! Moderator: I was wondering how much influence did you have in the casting process? S. Shepard: I did not have input into the casting process. That was all done on the other side of the country, so I didn’t know who they were going to cast, but when they did cast the girls I was very excited to see who they chose to be Ali, who they chose to be Aria, and Spencer and all of the rest. They don’t necessarily look like the girls that I described in the books but I think that’s okay because they really embody each of the characters and they do a great job playing. Spencer is a great Spencer; Emily is a great Emily; they might not look precisely like the dolls on the cover but they’re great representations of the girls. Moderator: How does it feel as an author to have your book come to life on screen? S. Shepard: It’s pretty crazy. I’ve seen the pilot, that’s the only – I know they’re shooting more episodes but the pilot is the only one that I’ve seen and it is really, really close to the first book; so many little details like Aria’s pet pig Petunia makes an appearance which is in the book which is based on something in my life. Aria comes back from Iceland. All of the scenes are what I wrote so it was really – I just kind of kept giggling the whole time that I saw it because it was surreal, but really amazing. I almost couldn’t comprehend what I was seeing that this thing that I thought of is now on TV. It’s pretty great. Moderator: I wanted to know how Pretty Little Liars ended up on ABC Family. When you read the book series it isn’t necessarily the network you would think of right away. S. Shepard: Well, I may want to turn this over to Catherine for your thoughts too, but from what I’ve seen on ABC Family I do think it’s a good fit there. There is a lot of scandal that happens in Rosewood, which is where Pretty Little Liars is set, but I also think our readers are the ideal ABC Family audience and that’s the channel that they’re watching. 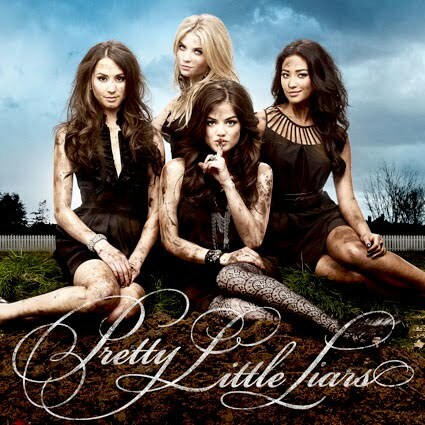 Also, even though Pretty Little Liars is a pretty scandalous series I try to keep a lot of really graphic – some series I think go really, really far and I try rein it in a little and keep things – keep sort of lessons learned and kind of a point to everything and try to make the girls as real as possible. I am very happy with it being on ABC Family with all of the other great shows that are on there right now. I think it fits in great. Moderator: I just wanted to know if right now you have any sort of end game for the books. There are sort of a lot of ends so far but what – will there always be an A, et cetera. S. Shepard: No, no. The final book Wanted comes out the same day that the show is premiering and it is the conclusion to the series so A will be revealed and a lot of the mysteries will be solved. It is left – it’s left a little creepy and open-ended, but there is an end to the series. I wanted, and I am very happy that my publishers agreed, that we sort of wanted to go out kind of on a high note and not just drag things out and make everything make sense. Yes, the thrilling conclusion which is coming out June 8th and it will be really fun that readers who have hung on from the very beginning will be able to read the very last book and then go right into watching it on TV. I’m very excited for that. Moderator: From a writer’s standpoint, what’s more dangerous: a pretty girl with secrets or an average-looking girl who knows your secrets? S. Shepard: Hm…I always think it’s the girl that knows the secret, personally. Well, it depends on what she does with it. In Pretty Little Liars there is a somewhat average looking girl who knows some secrets who – I don’t want to give too much away, but she definitely uses them in ways that aren’t great. I would say knowing someone else’s secret is always a little scarier, at least in Pretty Little Liars world. Moderator: Okay, fair enough. Can you describe some types of unique conflicts that set the show apart from other teen-oriented series? S. Shepard: Well, obviously the premise of the show is that four girls, they’re just best friends. Their fifth best friend disappears in 7th grade and she was the ring leader and at least in the book series, and I’m hoping that it goes this way in the TV series. She was not a very nice girl. She really manipulated her friends and had sort of this power over them. As the girls get older now they sort of, at least in the books, they begin to realize she really wasn’t that great of a person and they begin to sort of think about friendships and what that could mean. The other sort of interesting conflict is that there is this stalker now called A. A, they think at first is their old friend whose name is Alison, but it may not be Alison. They have to figure out who could be doing this to them. They’ve made some enemies in their past. They have a lot of secrets that they don’t want anyone to know about. It’s a lot about who is watching them and are they going to pay for what they did and that kind of stuff which I love writing about so I’m very excited to see it on TV. Moderator: Are you involved in the screenplay writing or do you oversee that process? S. Shepard: No, I am not involved in the screenplay writing. Some of the people that I’ve worked with developing Pretty Little Liars, they are very involved so I feel comfortable that it’s not going to go in this like kind of crazy direction that I wouldn’t be happy with because some of these editors and producers I’ve known for a long time. I did get to read the screenplay pretty early on and I was pretty happy with it. I think it had been through a lot of revisions by then but it was pretty true to the pilot so for me it was like, well, this is just like the book, so of course I’m happy with it. I am not a screenwriter so I did not have a part in that but I think Marlene King, who is the main screenwriter, I think she’s done a great job. Moderator: So do you know if the TV series is going to try to stay true the books or are they going to be throwing in some unexpected elements? S. Shepard: Well, [ABC Family publicist] Catherine [Graves] and I were talking about this just before we all got on the call. As far as I know they’re sticking, at least for the first few episodes, right, Catherine? C. Graves: Yes, right now we’re in – filming episode three. It’s pretty true to the books. There are like a few minor tweaks here and there. S. Shepard: I was going to say – I would okay if – I think it would be pretty exciting if some things were different – if they took some twists and turns from the books because some things that work in a book don’t really work for TV and it would be kind of fun to see the girls get into different sorts of troubles than they do in the books. We’ll see. I’m not going to be truly upset if something else happens to one of these girls, they get in some kind of different scandal than what’s in the books. Moderator: Hi. I know that a lot of authors think about what if their books became a movie, but in the aspect of having a series how do you think this will work better for TV since it is like you have a lot of books in the series instead of having just movies? S. Shepard: I think it will work really well for a series because there is just so much material. I think – every author wants their book to be a movie and they think about it and I’m guilty of that, too. There is so much going on in the mystery and the back story of all this, it’s so deep that I think it’s perfect for TV because there is a chance to develop all of that. You really wouldn’t have that opportunity in a 90 minute movie unless they did sequel after sequel which would be pretty ridiculous. I think it’s great for TV. Moderator: Great. My other question is a lot of TV shows, they eventually they come out with different merch, like they have t-shirts and stuff, so just from like a fad point of view, what would you like to see for Pretty Little Liars? Would you want to see like shirts, you could buy or a bobble-head, just crazy stuff like that? S. Shepard: What I would love to see, and actually what some readers have asked me, are the dolls from the cover, which I don’t know if they’d actually make the dolls of the stars, which would be interesting, too. There is so much in the book about Alison, the best friend who has gone missing, kind of treats her friends like just dolls that she just controls their every move. As a fad I think sort of having Pretty Little Liars dolls would be pretty awesome. Moderator: Do you hope that your stories have a story of moral lesson for both the characters and readers? S. Shepard: I’d like to and I think I’ve tried for that. I think the first Pretty Little Liars book, the girls are pretty naughty. Aria gets involved with a teacher and Hanna shoplifts and they seem to just really be in bad places and I’d like to think that by the end of the series they’re better people and they’ve kind of learned to connect with whether Spencer lets go of her issues with her sister because they’re always competing or Emily learns to accept herself, or sort of all of these things. That’s what’s been really great about doing an eight book series is that I’ve been able to develop these girls and make them grow up a little bit and all that. I hope that readers get that out of the books because there is a lot else to get out of them, the suspense and all of the soapy trouble they get in and stuff like that. I really do think that they have changed and I want that to get through as well. Moderator: You have mentioned Aria’s Pigtunia doll was sort of from your own life. I wanted to know if there are other little details from your own life that are in the book that might get into the series. S. Shepard: Well, a really big detail is that it is set – the book series is set in a town called Rosewood which I made up, but it’s a sort of a conglomeration of various little towns around where I lived in Pennsylvania on something called the Main Line. It’s just sort of a main train line outside of Philadelphia. It’s a sort of wealthy, kind of stuck up in a way, but it’s also really beautiful. It has farms, it has lots of lush countrysides and it’s very historic and all these things so every detail about the setting is probably straight from – is definitely straight from something that I experienced while in high school. I think that’s played over to the series a little bit, obviously it’s not set – it’s not being filmed in Philadelphia or outside Philadelphia, but I think they are trying to keep this sort of small suburban pretty little town where everything seems perfect, but you know it’s not perfect. Other than that I think there are tons of things and I think I’ll probably notice them more as they come into the series. Like I said Aria just got back from Iceland, which I have traveled to Iceland before, too, so I knew a lot about Iceland and the details from that were definitely in the first series. Randomly the teacher that she falls for is named Ezra Fitz, and when I was writing book one I was like, oh this isn’t going to be much of anything. Ezra Fitz is actually somebody that I know. He’s somebody that I went to elementary school with and we got back in touch and he said, “You based a character on my name!” There really is an Ezra Fitz in my life. Just little things like that, I think they’re all over the place so that’s what made it so crazy to see it on screen. It’s almost like your journal or something suddenly on television.These little details about your life suddenly like, oh there they are. It’s very strange, so – but great. Moderator: Yes, definitely. Do you have any plans to write an episode in the future? S. Shepard: I don’t. I’m not a screenwriter. I would love to give my thoughts. I hope to get out to L.A. while they’re still filming, but I am sticking right now to writing books and leaving the screenwriting to people who know how to do that. I’m working on a new book series right now, too, so I’m a little bit busy. Moderator: How do you view the relationship between beauty and the weight of hidden secret then? S. Shepard: Well, I mean I guess for all the girls that I have written about, for instance, Hanna, who is one of the characters, she seems – she has made herself over from seventh grade and now she is really, really beautiful and everything that she wants to do is – she wants to be very, very perfect in all things. She wants to look and act and dress as perfect as she can because she is sort of haunted by this old version of herself, which was sort of dorky and chubby and ugly and the bad teeth and all these things. She has a couple of ugly secrets but, I guess in her mind to reveal them or to sort of wear them more on her sleeve, it sort of makes her less perfect-seeming and less in control. I think that kind of goes for – I think that’s sort of the theme in the books because these girls all have secrets about themselves that if anybody knew about them it would just – it would shatter either who they are or their relationships with other people or that kind of thing. The interesting thing is that Alison, who is sort of the girl everybody wants to be, ends up having some pretty juicy secrets of her own that she also never tells anybody, even her friends don’t know about this. A lot of this is talked about in book eight, which is Wanted. Again, I think it’s for that exact same reason that Hanna kept these secrets. As a perfect girl, as a girl without anything to hide, or a girl without anything sort of visible to other people she was totally in control and she had no weakness. If she would have revealed some of these terrible things to her friends, maybe they wouldn’t have followed her so carefully and jumped at every instruction she gave them. They would have found that she was a little bit more human and normal like everybody else. That is my long-winded answer. Moderator: Which pretty little liar are you most like do you think? S. Shepard: I am most like Aria. I mean I think I’m like all of them. When I wrote them, there is a little bit of me in all of them. As far as what I was like in high school, I didn’t have an affair with a teacher, but Aria is kind of artsy. She’s not really interested in being popular and she just wants to be herself. I think at least the last couple of years I high school I was a lot like that. I identified with her with how all she really wants is just to get out of this little town and the people are all the same. They’re just so perfect and she – that drives a lot of her story and that’s kind of why she falls for someone older and interesting and not like a lacrosse player. I was very much like that so she is very close to my heart, but all of them really are. 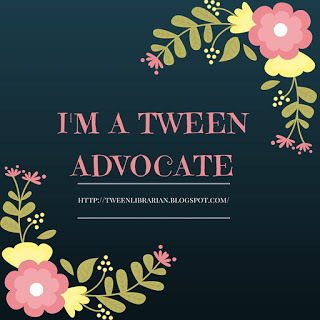 I have—I share things with all of them and I think that’s what helped me write about them because I could easily identify with where they were coming from. Moderator: I’m sure you’re asked this all the time, but I want to know what was the inspiration for the Pretty Little Liars book series, particularly like the mystery elements and those kinds of things? S. Shepard: I am asked that a lot. It’s always kind of a hard question to answer because in some ways I’m not – it didn’t come together in like a day. I knew that I wanted to write a mystery series and I had some great editors that I was working with and we sort of kicked around ideas and we sort of thought up well, what happens – text messaging – this is five years ago and text messaging was sort of becoming bigger and bigger and what happens if some girls start getting weird texts? Then for the piece of like, oh maybe it was the lost friend. Then I started to develop what this friend could be like and the secrets that she would have on them. It all kind of came together pretty slowly. I did think about the characters a lot right away and their secrets and things like that. As far as what the series has become I mean, I don’t think I knew from the start that it would be such a mystery with such a back story and so much tragedy. I love what it’s become because I love writing about mysteries; I love reading them. I also love the part in Pretty Little Liars about sort of the perfect town that’s turned inside out by this kind of stuff. There is a lot in the books about how the media just hounds the girls and how everybody is talking about them and I loved writing about that and that’s just right up my alley. It was sort of a long process of thinking it out, but I’m happy with the series as a whole. Moderator: I’d also like to know, writing and book publishing, the whole realm of it, it’s all very competitive field. What do you think is the secret to your success? S. Shepard: The secret to my success was, well, I was getting an M.F.A. in fiction and my sister was working with Alloy Entertainment, who helped put Pretty Little Liars together and did a lot of publicity for it and sort of managed the series. I knew that I wanted to start writing. I didn’t know how I could get into the business so my sister said, “Well, you know you could talk to some of the people that I know at Alloy.” There was sort of no way to get in touch with them so I decided to crash their Christmas party. I crashed their Christmas party with my sister and I got to talk to them that way and that was sort of my fist connection with Alloy, which was great. Crash Christmas parties. Honestly, I worked really hard. I did a lot of work for Alloy Entertainment before Pretty Little Liars came along, as well as my regular job, as well as going to school. I think I sort of fought to get projects and I hounded people. I really tried to work as hard as I could on, for instance, Pretty Little Liars getting it ready to get published, or to sell, I guess to get to a publisher. I think it was a little bit of being in the right place at the right time, being in New York always helps for those who want to get published, but I think it was a lot of hard work, too. Moderator: Yes, so I know you haven’t been to the set yet but I’m sure you will. When you go to the set are you going to try to get written in for like a cameo role and be in that series so everyone can see the author? S. Shepard: I would love to. There has been a little bit of talk about that, not – I don’t have any idea what the part would be but I hope it wouldn’t be a speaking part, because, maybe I could say one line or something. I would love that. I mean that’s a chance of a lifetime. Great, well that’s all the time we have today and thanks again for participating. Again, please remember that Pretty Little Liars debuts on ABC Family, June 8th at 8/7 central. Cool interview. Thanks for posting it. I'm gonna check this series out when it starts this summer. I am so excited for the show! I am planning to read the first book before the first episode comes out! Its ound soooo good! bothe the book and the show!